We opened to the public at our New Orleans restaurant and sports bar in 2012 by the intersection of St. Louis and Bourbon Street as the newest Creole Cuisine creation. This restaurant was created with the thought that both visitors and New Orleans residents strolling through the historic French Quarter want to find something original, while maintaining the familiarity of a classic American menu and their favorite place to grab a drink. Sports bars in New Orleans are common, but Bayou Burger and Sports Company isn’t your typical sports bar. 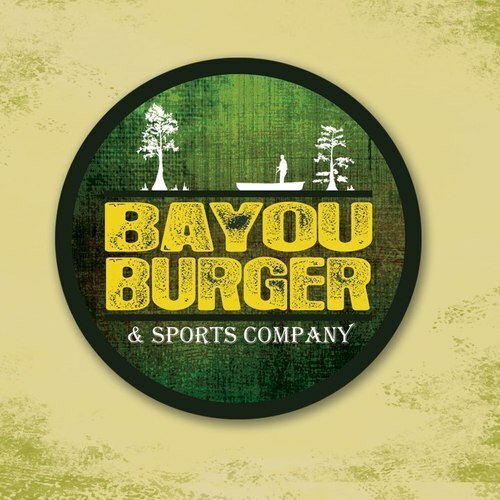 We expertly infused delicious ingredients, local flavor and typical game-day American dishes to build our unique Bayou Burger and Sports Company menu. Some of our most popular dishes include Skillet Cheese Fries, Bayou Trifecta, and Gator Burger, perfectly suited for our French Quarter restaurant. Our sports-themed interior is highlighted by a local twist, which makes for a uniquely New Orleans sports bar experience for casual dining. Surrounded by the natural tones of local scenery and photography of local sports heroes or coastal imagery permits all of you sports fans to take a seat on the bench and scream at one of our HDTVs as your team engages in a head-to-head battle. Each TV is perfectly positioned to make any table a front-row seat to your favorite game. Bayou Burger is happy to offer all visitors (from near and far) a French Quarter sports bar to call their favorite, whether they prefer our sports atmosphere, our burgers or our beers.